The Shale Gas News, heard every Saturday at 10 AM on 94.3 FM talked about Wolf’s failing severance tax bid, Utica production, ocean shipping and much more last week. Every Saturday, Kevin Lynn of Linde Corporation and I co-host a morning radio show to discuss all things natural gas. This week we had Mike Atchie of Williams and Dave Spigelmyer of the Marcellus Shale Coalition as guests. 1.8 Bcf/d of Marcellus/Utica Gas Heads West on REX Starting Aug 1. Upon the Rockies Express Pipeline’s 2009 opening, plan to ship natural gas eastward. However, the pipeline will now ship natural gas in the opposite direction. PA House Speaker Stands Firm Against Gov Wolf’s Severance Tax. Turzai said it’s time to think about overriding Wolf’s veto of the proposed Republican budget–a plan which balances the budget instead of running up the tab as Wolf would do. Cabot Says Constitution Pipeline Construction to Begin this Fall. Cabot is the other primary partner in the project. Currently the Constitution is 100% FERC authorized and they have 100% of the rights of way leases signed for the project. CONSOL Drills 2nd Best Utica Well Ever in PA, Flows 61 Mmcf/d! At $7-$8 million to drill a Marcellus well, spending $27 million to drill a Utica well seems like it might be unprofitable–except for the monster production! 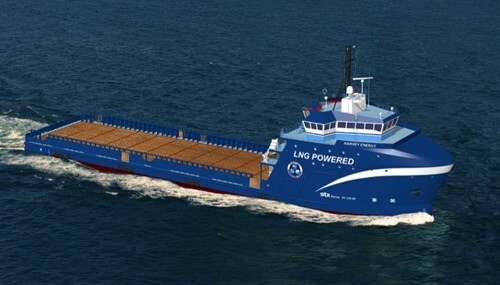 Why Ocean Shipping Companies Are Switching to Natural Gas. The ocean shipping industry currently accounts for 8% of global emissions of sulfur dioxide, which causes acid rain. Marcellus/Utica Provide 85% of Natgas Production Growth Since 2012. We have the biggest reserves in the northeast–better tech and ways of getting at those reserves. Natural gas from U.S. shale basins now accounts for 56% of U.S. dry natural gas production.